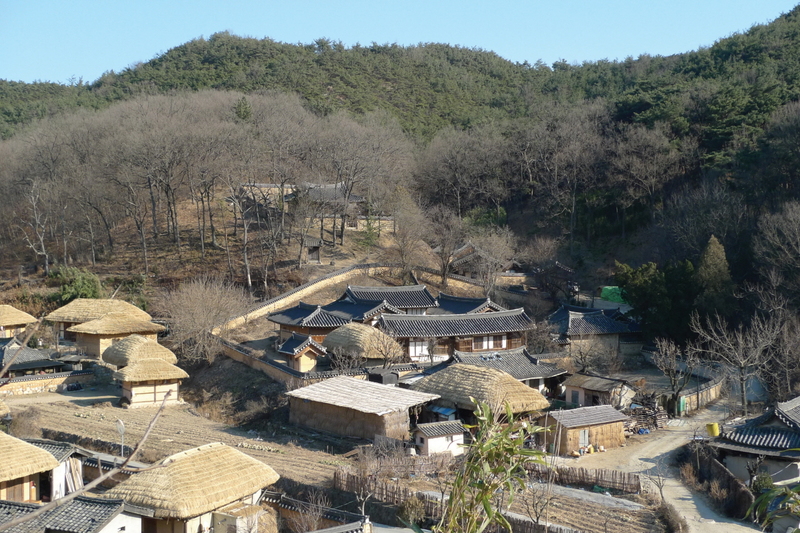 This clan village mainly consists of people of Wolseong Son’s Clan and Yeogang Yi’s Clan. Located approximately 16 kilometers away from Gyeongju toward the northeastern side of Pohang along Hyeongsangang River, it has a group of relatively big high-class houses on the vast Angang plain with a geographical feature that offers great wealth and prosperity according to geomancy. 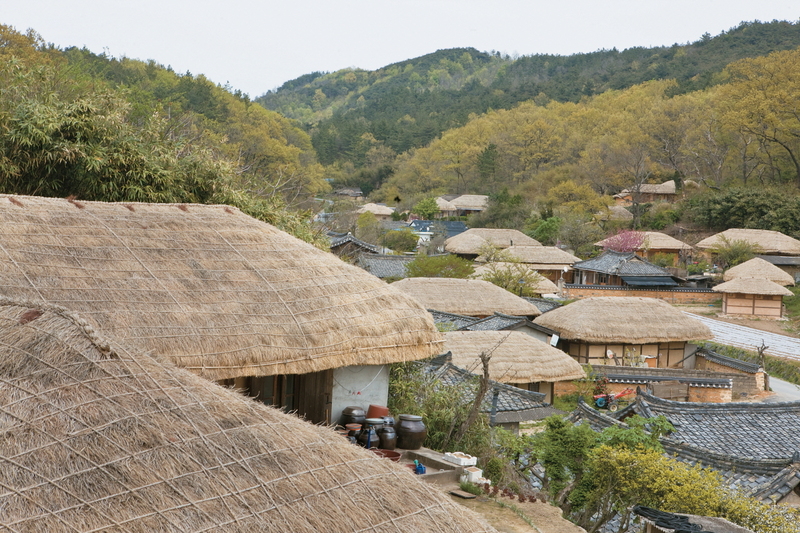 According to the rule of yangban (nobility), head family houses are built on the high, spacious ridge of a mountain. Many large houses with long history have been well-preserved. Most of the houses are built in the basic “□”-shaped layout with four open corners, but very few houses have haengnangchae (servants' quarters) in front of the main gate. Although some houses are built in a mixed layout such as “ㄱ” shape or “ㅡ” shape, the layout and spatial composition of most of the houses show the features of the Yeongnam region. 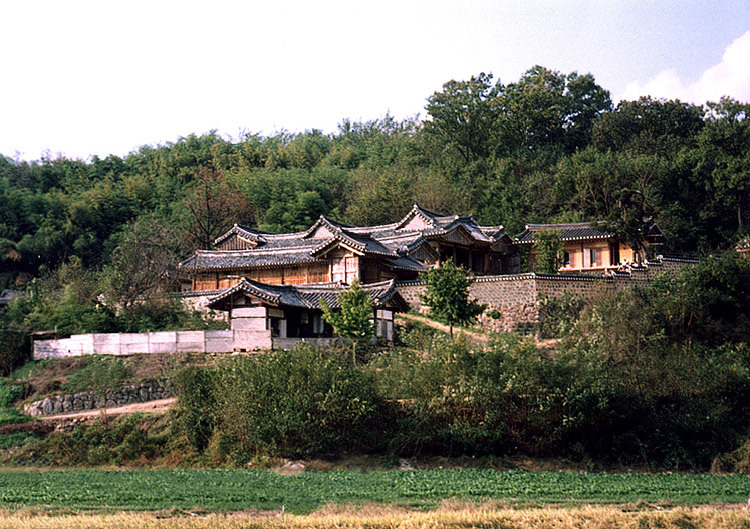 Several buildings in this village have been designated as important cultural properties such as Mucheomdang House (Treasure No. 411), Hyangdan House (Treasure No. 412), and Gwangajeong House (Treasure No. This village is assessed to have great value since it has beautiful scenery along the mountain valley, well-preserved, old traditional houses built in harmony with nature, and cultural materials showing the lifestyle of the nobility as well as customs related to Confucianism. 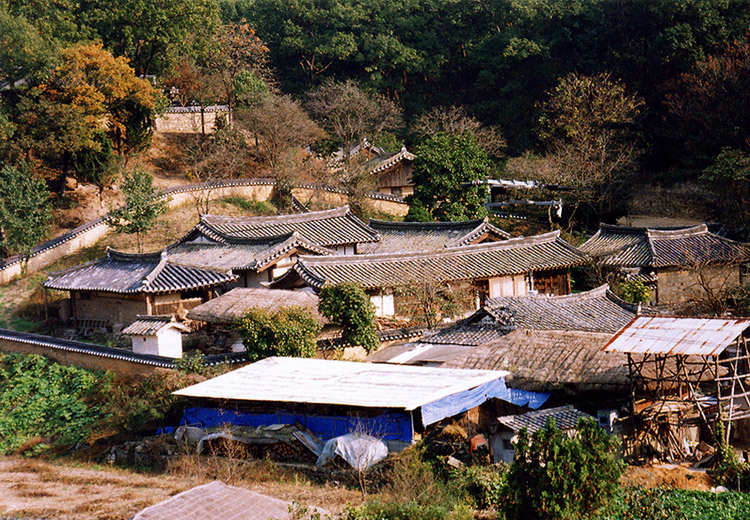 This village used to be called “Wolseong Yangdong Village” at the time of its designation as important folk cultural heritage but was renamed “Yangdong Village, Gyeongju” by reflecting the historical fact that the name Gyeongju had long been used since the Goryeo Dynasty, whereas the name Wolseong was temporarily used for the convenience of administration once (Feb.
※ Viewing of the cultural property above is usually available anytime but may be limited depending on the owner’s personal circumstances.